"Be sure to save me a seat at the craft table. I miss and love you! " Dorothy Jean Kirby, aged 70, passed away peacefully October 5, 2018. She was born November 21, 1947 to the late JD Stephens and Willie Maud Stephens (Thomas) in Winnsboro, Texas. Jean was a longtime member of Pineview Baptist Church and a loving mother, remarkable homemaker and talented seamstress. Jean loved sewing, making stained glass art creations and caring for her two boys Grant and Gregg. As described by her loving sons, Jean, their mother, had an amazing talent and love for artistry and could create just about anything. Jean was preceded in death by her parents, JD and Willie Maud Stephens; husband, Doyle Lee Kirby and brother, Jimmy Don Stephens. Gregg and Deanna Hornbuckle and her granddaughter, Kelsey Hornbuckle all of which who cared for and loved her during her last days. Jean’s family recognizes and appreciates the service of those who care for the elderly and disabled and ask in lieu of flowers, please send donations to Heart to Heart Hospice Foundation, 7240 Chase Oaks Blvd., Plano, Texas 75025 or https://www.htohhfoundation.org/donation/. 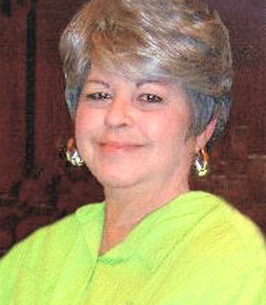 A memorial service for Jean will be held Wednesday, October 10, 2018, 2pm at Beaty Funeral Home in Winnsboro, Texas. To send flowers to the family of Dorothy Jean Kirby, please visit our Heartfelt Sympathies Store. Our deepest condolences. Prayers for you and your family. Be sure to save me a seat at the craft table. I miss and love you! Gregg, So sorry for the loss of your mother. Prayers for you and your family at this time.